Summer heat can be more than uncomfortable—it can be a threat to your health, especially for older adults and children. Whatever your age, don’t let the summer heat get the best of you. Drink plenty of water—In hot weather, drink enough to quench your thirst. The average adult needs eight 8-ounce glasses of water a day—more during heat spells. Dress for the weather—When outside, wear lightweight clothing made of natural fabrics and a well-ventilated hat. Stay inside if possible—Do errands and outside chores early or late in the day. Eat light—Replace heavy or hot meals with lighter, refreshing foods. Think cool! Take a cool shower or apply a cold compress to your pulse points. Or, try spending time indoors at an air-conditioned mall or movie theater. Driver retention is a constant struggle for many transportation companies throughout the country. The industry continues to learn more about why retaining drivers is a problem and how to fix it. For a business owner, it is important to try to understand how driver retention impacts your business and to move forward making a valiant effort to retain your drivers! 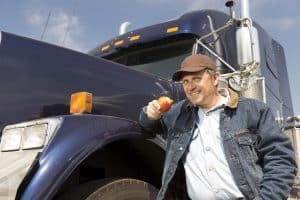 In-cab satellite TV provider EpicVue recently conducted one-on-one informal conversations with 138 drivers at truck stops across North America as to why pay is the most important compensation for truck drivers. Lance Platt, EpicVue’s CEO, noted that “perks” ranging from health care benefits to vacation time and larger sleeper cabs are becoming more important, especially to younger drivers. Gemini Motor Transport is a fleet that began rewarding drivers for driving safely. Credits are awarded to Gemini’s drivers on an annual basis; to earn one credit the driver must have no accidents, tickets or fuel-related incidents over the period of one year. They must also pass all U.S. Department of Transportation and Gemini inspections. Once drivers accumulate five credits, they are eligible for a bonus which can range from $25,000 to $35,000. Since this program began, turnover rates significantly dropped and is extremely low for the industry. Bonuses and rewards can be highly effective, but there are other ways to improve your driver retention! 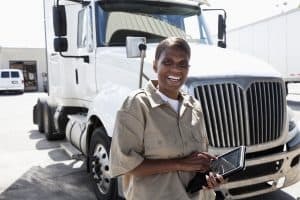 These tips help communication within the fleet, show that you as an employer care about your employees, and generate respect and loyalty throughout the company. When employees feel proud of the company they work for, the company is doing something (a lot of something) right. The higher the opinion your driver has of your company, the more likely it is that they will continue driving for you! The key to retaining drivers is to set goals, have conversation, and obtain mutual respect. The Federal Motor Carrier Safety Administration (FMCSA) is cracking down on drivers by holding them accountable to audit requirements instigated in 2013 under “Operation Quick Strike.” The initial phase of Operation Quick Strike targeted bus and motorcoach companies and was successful at shutting down companies it found to be out of compliance. Today’s model is a performance-based program that is being rolled out to trucking companies, including fleets, and focuses more on current problems rather than following up on prior out-of-compliance ratings. Here are some of the changes in the way the FMCSA is doing audits. Audits include a broader range of fleet personnel, including accounting, sales, and drivers as well as checking social media. Ranking in the unsafe driving, hours of service compliance or crash indicator basic must be 90 or higher, a change from a rating of 85. The FMCSA has added a “Part C” to the audit, reserved for the auditor’s notes, the method of operation of the audit and other details of the audit not listed in Parts A or B. Parts A and B are routinely released to the driver, but drivers need to request Part C, citing the Freedom of Information Act. Unsafe Driving criteria are being added to the audit for the first time. This includes speeding ticket information, following too close, or other minor driving violations will be used in the new rating system. E-logs will also be included in the audit. An explosion of information and data. E-logs will be used to request other documents that support the audit. While not currently included in the audit, the FMCSA is considering including a “Safety Fitness Determination” criteria in the future. 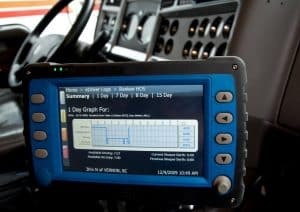 If a driver is deemed “high-risk”, they will be rated “Conditional.” Under the new criteria, the FMCSA has increased the investigation, intervention and “out-of-service” orders. 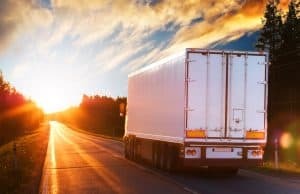 And, since shippers and brokers have access to a driver’s rating, a Conditional designation could have a major financial impact on a trucking company. For more on transportation news and risk management, contact us. Pre-plan your route so you know you will be stopping at a location with plenty of room and that is well lit. Choose your stops, don’t let them choose you. Never underestimate the usefulness of a rest area. Not only do rest areas offer easy access, but they are setup to allow trucks to pull through a parking spot versus the higher risk of backing into a spot. Statistics indicate that more accidents happen in truck stops than rest areas. Avoid parking on the end of a row. Not only is there traffic crossing next to you but most people park on the end because they are tired and after a long day the end is the closest spot. Avoiding the end of a parking lot helps you avoid drivers who are parking when they are tired. Removing yourself from high traffic areas can only help. Avoid a spot that will force you to back out when you leave. Choose a spot you can either pull through (the best option) or back into (second best option). Avoiding parking in a location where the trucks across from you will be required to back out of their spots. Being behind a vehicle that will be blindly backing toward you is a recipe for disaster. If the truck next to you looks close, is over the line, or parked odd (for example the cab is angled to the trailer for some reason) then move on to a new spot. If you have to take that spot don’t be afraid to write down the name and DOT number on the truck. You may be glad you did when you wake up in the morning. Park with your tractor and trailer straight. It reduces the area others have to hit while backing. Use your four-ways when pulling through the lot and backing up. 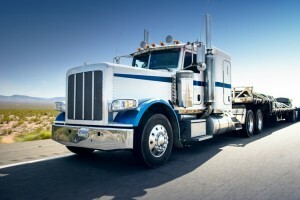 People in truck stops, or even other parking lots, are usually tired or distracted. Four-ways activate peripheral vision and increase the chance of someone seeing you. And if required use your horn gently when needed to tell someone “Hey, I’m here”. The Office of Management and Budget (OMB) completed its review of the CDL Drug and Alcohol Clearinghouse final rule. The Federal Motor Carrier Safety Administration (FMCSA) can proceed with the rule so long as they follow OMB’s recommended changes. OMB did not make these recommendations public. The trucking industry has long sought this ruling. After years of lobbying, the FMCSA proposed the rule in 2014. OMB received the final rule in May of this year. The problem with the current setup is there is no way for trucking companies to check drug and alcohol background information on drivers who tested positive or refuse to submit to testing. The new ruling would make a central database of these individuals. Carriers would then be able to reference the database before hiring an individual. Industry professionals believe it will help curb job-hopping and the number of truckers operating vehicles while under the influence. While OMB’s recommendations are unknown, motor carriers should expect this ruling to become federal regulation soon. 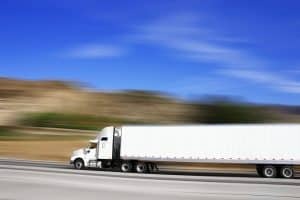 Driver drug and alcohol testing should be a priority for all trucking companies. The results of these tests affect driver safety as well as your company’s risk. To stay up to date with federal regulations and improve your transportation risk management, contact us.